Sorry, I know this will freak some of you with OCD tendencies out, but I just had to share (maybe this is a case of over sharing). Here is the dust (and associated hair, dirt particles and glitter) that has piled up in my home in just 2 days! This is made worse by the fact that this is just one floor and, doesn’t include any dust hiding under the kids beds simply because they have drawers under them and I couldn’t be bothered to move them and then sweep (sorry Mum). Did you know that in every gram of dust (approx half a teaspoon) there are as many as 1,000 dust mites? nope, I didn’t either (thank you AchooAllergy.com). I don’t even want to think about how many are in this pile! 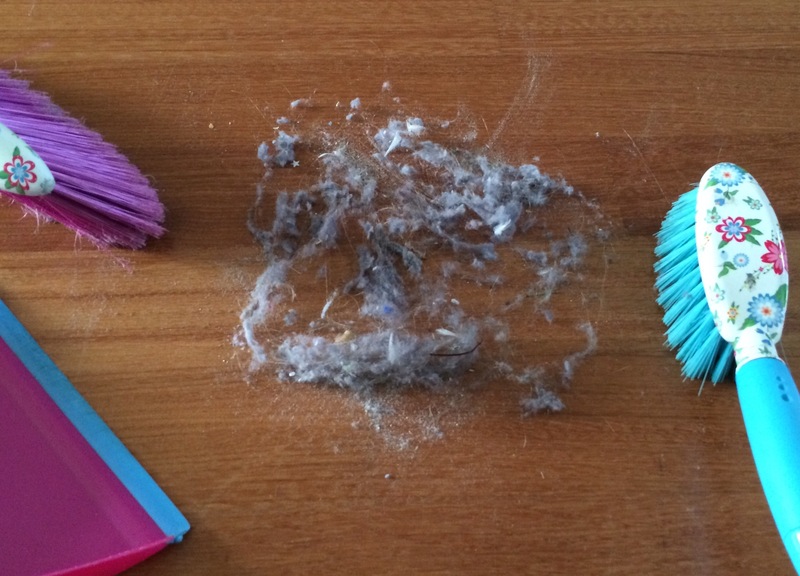 I hate how quickly dust accumulates… but I still don’t hoover often enough. Hmm.